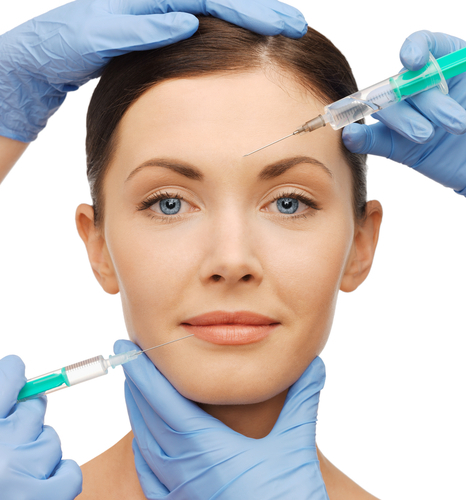 Filler injections also known as dermal fillers are marvels of modern day cosmetic medicine. With people being increasingly aware of their appearance, it is really no wonder the cosmetic procedures market has grown by over 9% in the past two years worldwide. Dermal fillers offer a less invasive alternative to plastic surgery and they can almost instantly add volume and structure to restore the skin’s fullness and reshape facial features. ‘The Changing Faces of Beauty’ is the largest online global surveys that has explored the concept of beauty, complexion related concerns to the face and treatments and also beauty routines and filler injection treatments. The questionnaire was filled out by a total of 7,700 ‘aesthetically aware’ female respondents aged between 18 and 65 years old from 16 countries, including Canada. Three-quarters (74%) of respondents said they invest in their beauty for themselves primarily while 42% were looking to boost their self-confidence with a cosmetic treatment such as a filler injection. Slowing the anti-aging process seemed to be no longer at the top of the agenda. A healthy, hydrated and radiant skin beats a young look on any given day. When asked to rank what they consider to be the most important aspect that makes a woman beautiful, over half of respondents (56%) said complexion and skin quality. Surprisingly, this was equally as important as body shape and figure. Beauty concerns differ from country to country as expected, but bags under eyes and dark circles are universal worries. Other relevant findings were related to: double chins (60%), loss of cheek fullness (52%) and lips volume (43%). Probably the most important finding reveals that 65% of all women agree that the last five years have shifted perceptions when it comes to dermal fillers, making them more socially acceptable. This change was driven in part due to the fact that the number of grooming options available has increased dramatically. There is no denying that choice improves the quality of our lives and should push people to make more informed decisions to come as close as possible to getting the outcomes they aim for. Advancements in the skincare and cosmetic industries have began to eliminate the many concerns people had until now regarding such procedures. Globally, well over half (57%) consider filler injections look natural. In Canada, 51% of women say dermal fillers are the best solution to enhance their beauty in a way that looks natural. A separate, Canada-focused study reinforces the results of the global report and offers an even closer look into how women really feel about dermal fillers. According to them, almost 1 in 4 Canadian women are either using or thinking about using filler injections to reduce lines and wrinkles around the eyes (28%) and improve the look of saggy skin around the chin and jawline (20%). When it comes to beauty secrets, about one in four consider dermal fillers to be the ace up their sleeve when it comes to achieving natural looking results. This was followed by spa treatments, facelifts, expert make-up and a good night’s sleep. What’s refreshing to learn is that having a dermal filler procedure is no longer something women shy away from – and it shouldn’t. Two-thirds of respondents are willing to tell their friends and families about their treatment, which is not surprising once we learn 75% of women who use filler injections, such as Juvederm, Revanesse, and Stylage consider them to be a normal part of their regular beauty routine. Certainly, it’s not only women benefit from these treatments. Quite the opposite, the use of dermal fillers among men in North America has seen a fast-paced growth (94%), since 2010. Their main objective was to diminish wrinkles(84%). Summing up the survey, nowadays looking how we feel is a priority and dermal fillers might just be that subtle way to achieve that. Specialists at Canada MedLaser Clinics advise Canadians to do their homework first before having filler injections done. Across their clinics in Toronto, Mississauga and Vaughan, they practice specific steps prior to performing the treatment to make sure the best and safest results for their patients. For instance, a highly trained medical aesthetician will assess facial features up to the smallest detail to decide appropriate injection sites. The next step is just as crucial to the overall success of the filler and to skin health: cleansing. Proper sterilization using antibacterial solution are the only way to reduce the risk of infections and complications. Coco Chanel once said, ‘nature gives you the face you have at twenty; it is up to you to merit the face you have at fifty’ and this has kept its meaning throughout time. While adopting appropriate facial care rituals is important, the skin is prone to need some help in looking fresh and plump and that’s what injection fillers are for.